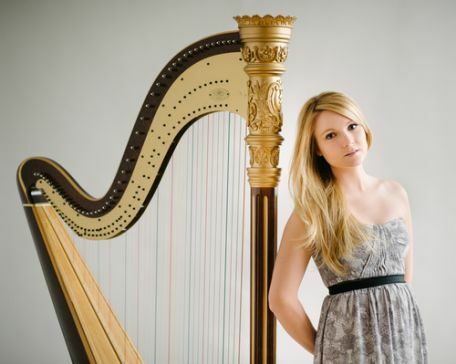 Kristi Shade began playing the harp at the age of two and has since become one of the preeminent emerging harpists in the industry. A diverse performer, Kristi performs in a variety of musical settings including classical, jazz, pop, Broadway, contemporary and electronic music. Kristi received her Bachelor of Music degree from the University of Miami, where she studied with Valerie Whitcup. She went on to study with Susan Jolles at the Manhattan School of Music, where she received her Master of Music degree in 2007. 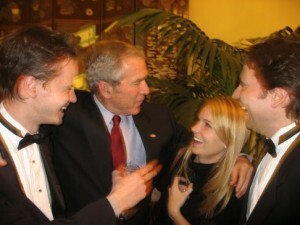 Kristi Shade has been a participant of the National Orchestral Institute and the Henry Mancini Institute. Awards include American Harp Society Awards (1988, 1990, 1991), a Downbeat Jazz Award (2006) and an ASTA Award as Competition Winner for the state of Florida (2005). Kristi Shade is the Principal Harpist with The Chamber Orchestra of New York, with which she has recorded three albums on the Naxos record label. She is a member of the flute-viola-harp trio, Hat Trick, and the harp duo, Duo Scorpio. Duo Scorpio released their debut album, Scorpion Tales, in the fall of 2012 on the American Modern Recordings label and were featured performers at the 50th Anniversary American Harp Society Conference in New York City. Their album, Scorpion Tales , was included on the 2012 GRAMMY nomination ballot in three separate categories. Duo Scorpio were featured performers at The World Harp Congress in Sydney, Australia in July 2014, where they premiered their commissions by composers Nico Muhly and Andy Akiho. Duo Scorpio also performed at the World Harp Congress in Hong Kong in July 2017, where they premiered their commission by composer Paul Patterson. Duo Scorpio's second album, Two Bridges, was released in the spring of 2017 and consists entirely of pieces commissioned by the duo. Kristi Shade has been a guest artist with The Baltimore Symphony, The Florida Philharmonic, The Albany Symphony Orchestra, The Columbus Symphony Orchestra, The Brooklyn Symphony Orchestra and The Brooklyn Repertory Orchestra. Her solo engagements have included performances of Rodrigo's Concierto de Aranjuez with The Miami Symphony, Ravel's Introduction and Allegro with the Philharmonic Orchestra of the Americas, Ravel’s Introduction and Allegro and Mozart’s Concerto for Flute and Harp with Ensemble 212, as well as Mozart’s Concerto for Flute and Harp with the Astoria Symphony. Kristi Shade was the Principal Harpist for the Philharmonic Orchestra of the Americas, with which she toured Mexico and North America, recorded an album for Sony Classical and appeared live on television for the Mexican Bicentennial Celebration in September 2010. Kristi Shade has performed on Broadway for several shows, including Carousel, Hello Dolly, starring Bette Midler and Bernadette Peters Dr. Zhivago, Cinderella, Wicked, A Little Night Music, starring Angela Lansbury, Catherine Zeta Jones, Bernadette Peters and Elaine Stritch, Gypsy, starring Patti LuPone, and The Apple Tree, starring Kristin Chenoweth. She can also be heard on the Official Broadway recording of Anastasia. Kristi Shade has made numerous television appearances, including The Today Show, The Late Show with David Letterman, The Late Show with Stephen Colbert, The Late Late Show with Craig Ferguson and All My Children. She has performed with artists such as Florence + The Machine, The All-American Rejects, The Killers, Jónsi from Sigur Rós, John Legend, Carlos Santana, Patti LaBelle, Sean Lennon, The Fab Faux, Il Volo, Pink Martini, Itzhak Perlman, Chris Noth and Will Ferrell. 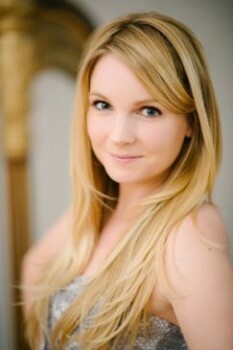 Kristi currently resides in Manhattan where she maintains a vigorous performance and teaching schedule. She has been on faculty at the Manhattan School of Music Precollege Division since 2007. 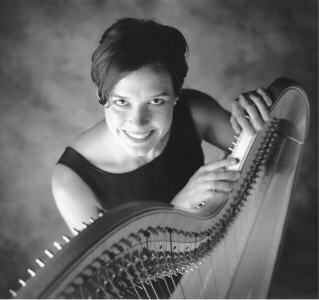 Kristi Shade served as the Vice President of Metroharp, the New York Chapter of the American Harp Society, from 2010-2015.